Deciding to buy or sell a home is a big step. To make sure it"s a step in the right direction, choose the person best qualified to handle your real estate needs. 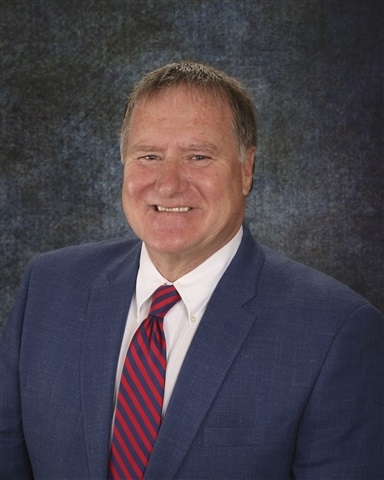 Rick Bauer, one of four owners of the RE/MAX Home Group franchise, began work as a Real Estate Agent in 1981. Today, he has an established reputation as a Realtor founded on hard work, honesty, and knowledge of the market. This reputation continues -- being promoted and supported by office marketing/sales assistant Barb Adams, Bobby Kastli, licensed Realtor since 2015, Karen Taylor, licensed Realtor since 2015 and Deno Cejvanovic, licensed Realtor since 2003. Over 50 years of experience combined gives our clients the confidence to rely on The Rick Bauer Team for their real estate needs. A team of professionals at work to market and sell your property... that"s 4 licensed Realtors on your side! Teamwork has multiplied the efforts of this real estate group and has allowed us to better serve our clients every step of every real estate transaction. Put The Rick Bauer Team to work for you today! 4 bedrooms | 2 full baths | 1886 sq.ft. 3 bedrooms | 1 full baths, 1 half baths | 962 sq.ft. 1 bedrooms | 1 full baths | 1173 sq.ft. 4 bedrooms | 1 full baths | 1179 sq.ft. 4 bedrooms | 2 full baths, 1 half baths, 1 3/4 baths | 3153 sq.ft. 4 bedrooms | 1 full baths, 2 3/4 baths | 2636 sq.ft. 5 bedrooms | 2 full baths, 1 3/4 baths | 2522 sq.ft. 3 bedrooms | 1 full baths, 1 3/4 baths | 1796 sq.ft. 3 bedrooms | 1 full baths | 1622 sq.ft. 2 bedrooms | 1 full baths, 1 3/4 baths | 1211 sq.ft. 3 bedrooms | 1 full baths, 1 3/4 baths | 1531 sq.ft. 2 bedrooms | 2 full baths, 1 3/4 baths | 1104 sq.ft. 3 bedrooms | 1 full baths | 1687 sq.ft. 3 bedrooms | 0 full baths, 1 3/4 baths | 1097 sq.ft. 5 bedrooms | 3 full baths, 1 half baths | 2354 sq.ft. 2 bedrooms | 1 full baths | 865 sq.ft. 4 bedrooms | 3 full baths | 3328 sq.ft. 3 bedrooms | 2 full baths | 1850 sq.ft. 3 bedrooms | 1 full baths, 1 3/4 baths | 1463 sq.ft. 2 bedrooms | 1 full baths | 736 sq.ft. 3 bedrooms | 3 full baths | 1741 sq.ft. 4 bedrooms | 2 full baths, 1 half baths | 1942 sq.ft. 100 bedrooms | 0 full baths | sq.ft. 2 bedrooms | 1 full baths | 1077 sq.ft. 3 bedrooms | 2 full baths, 1 3/4 baths | 1822 sq.ft. 3 bedrooms | 1 full baths, 2 half baths, 1 3/4 baths | 1660 sq.ft. 2 bedrooms | 1 full baths | 1248 sq.ft. 5 bedrooms | 3 full baths | 3692 sq.ft. 4 bedrooms | 3 full baths | 2694 sq.ft. 4 bedrooms | 5 full baths | 4024 sq.ft. 2 bedrooms | 1 full baths | 972 sq.ft. 0 bedrooms | 0 full baths | 0 sq.ft.